Learn more about ICOS Norway in our brochure. 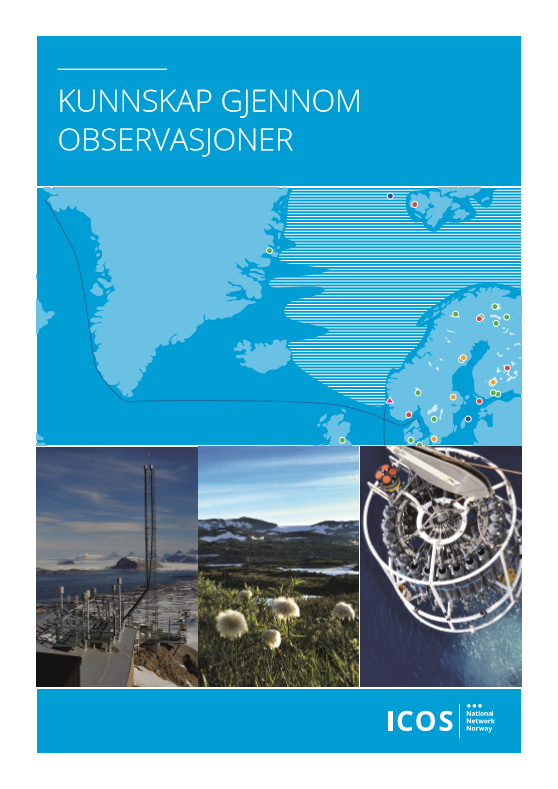 Integrated Carbon Observation System (ICOS) is a European research infrastructure forming an observation system that will measure and assess atmospheric greenhouse gas concentrations ensuring independent and reliable carbon measurements. Through observations, ICOS aims to provide knowledge on how societies have succeeded in reducing their greenhouse gas emissions and how emissions are regionally distributed. The Norwegian sites include towers for air measurements in southern Norway and at Svalbard, a forest station in south-eastern Norway (Hurdal), and the use of two research ships and two commercial ships in the North Atlantic, the Nordic Seas, and areas around Svalbard. Data from the various platforms will be integrated and made available to carbon system scientists and various interested parties such as research communities, national agencies, oil and energy companies, and fisheries. The Carbon Portal is the “one stop shop” for all ICOS data. Icos-cp.eu ICOS emphasises free and open access to data and visualizations for easy understanding. ICOS Norway was officially launched in April 2016. Read more about ICOS Norway here.